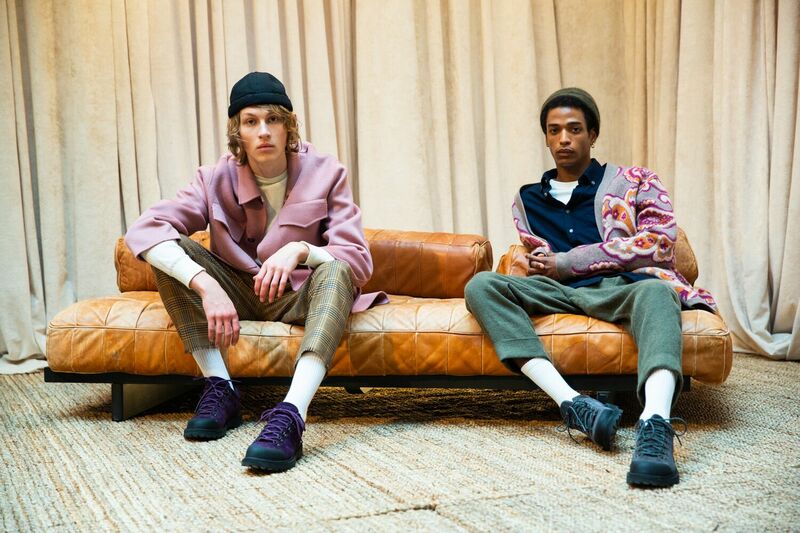 It’s a love affair with vegan leather and paisley for AW19. 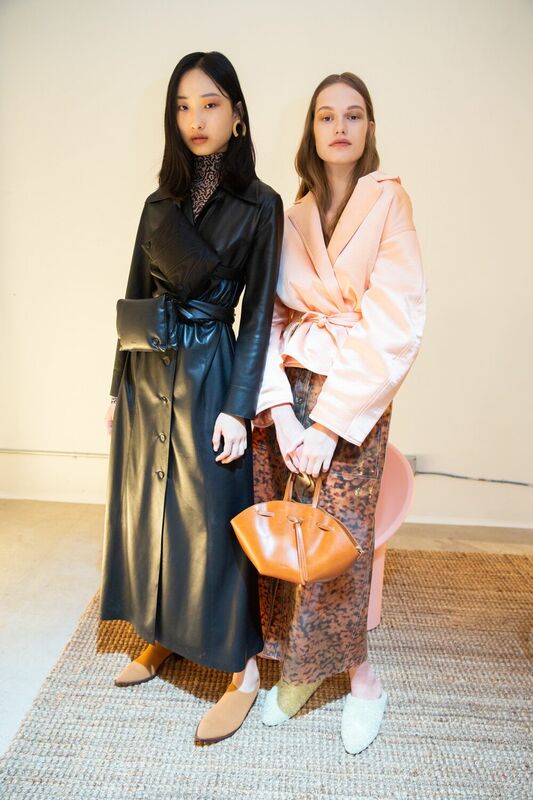 On the streets and catwalks of NYFW, the influence of Budapest-based brand Nanushka was palpable – in particular, last year’s immensely popular black vegan leather puffer seemed to grace the shoulders of every fashion week attendee worth their two cents. 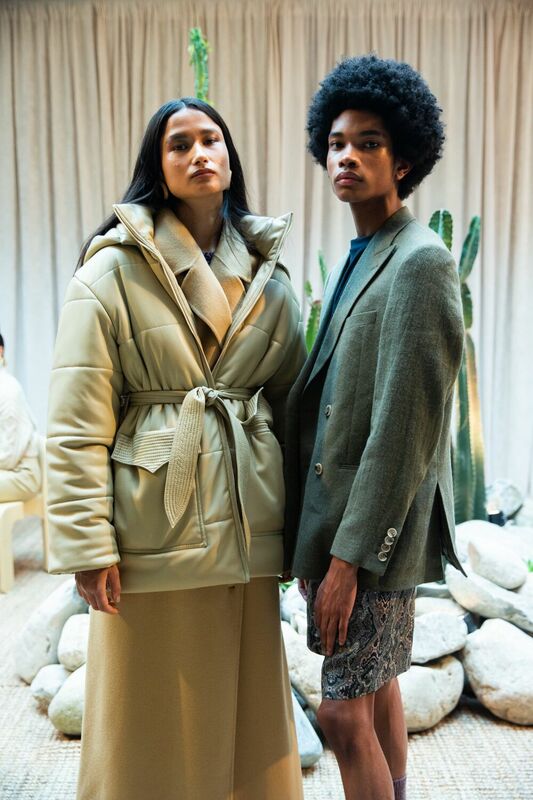 It’s no surprise, then, that Nanushka’s Friday AW19 show generated a whole lot of hype, especially given that it included the brand’s designer Sandra Sandor’s menswear debut. 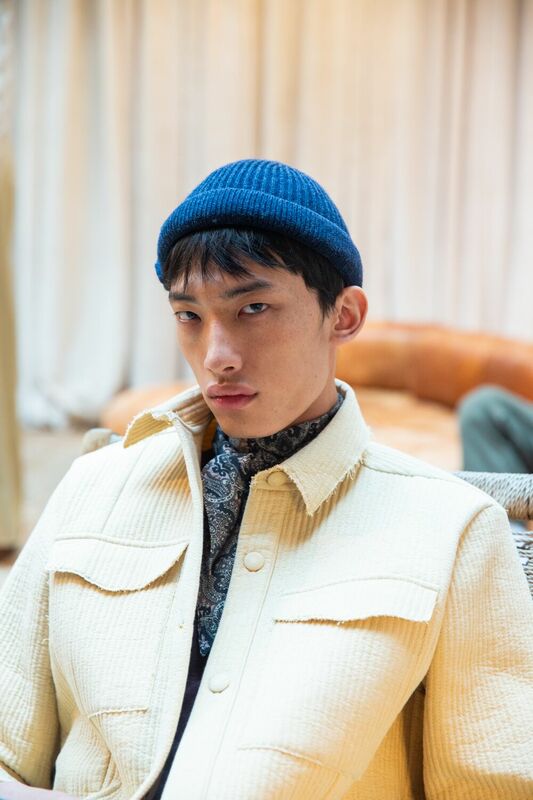 The menswear neatly complimented the Nanushka aesthetic: smart trousers, tailoring, lots of faux-leather and a fairly neutral pallete with delicate pastel highlights. New: paisley, neck scarves, and even that fisherman’s beanie seemingly owned by every man from London to New York (thanks, Daniel Day Lewis). 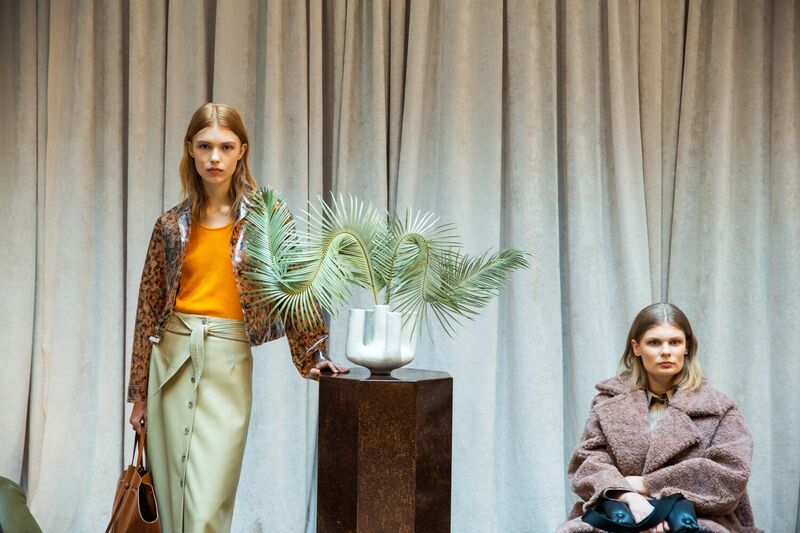 The womenswear collection featured new interpretations of classic Nanushka staples – from chocolate-coloured silk suits to belted coats, and slinky full-length skirts to lilac and orange knitwear. Check out our favourite looks below.